In recent years, Internet pharmacies have emerged in Canada, primarily to supply US customers with lower-cost drugs. The pharmacies use e-commerce and other technologies to reach large numbers of potential customers and to exploit the sizeable price difference that exists for prescription drugs in the two countries. The resulting cross-border trade in drugs grew rapidly from 2001.2 Despite rapid, short-term success, the survival of Internet pharmacies was not assured. Critics of Internet pharmacies claimed that their practices were illegal, unethical, and unsafe. Further, the traditional pharmaceutical supply chain had reacted strongly to the challenge laid down by Internet pharmacies. The future position of Internet pharmacies was therefore uncertain. The case study examines the Internet pharmacy industry, with one company (Mediplan Health Consulting Inc.) providing illustrations. 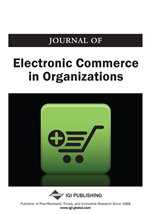 It shows that e-commerce technology was critical for Internet pharmacies at start-up, but that non-technical matters quickly became more important management issues.